The time is here once again—time to schedule your air conditioning maintenance in Lake Butler, FL or elsewhere in North Central Florida. If you’ve signed our Energy Savings Agreement, then you’re ready to go! Just call our office to set up your maintenance appointment. If you haven’t signed up yet, then you’re almost ready to go! Just call our office to sign up, and we’ll take it from there. Spring AC maintenance is usually straightforward. Our techs inspect your cooling system, clean and adjust it, and then inform you about anything they’ve noticed that may require repair work (such as a loss of refrigerant to leaks). 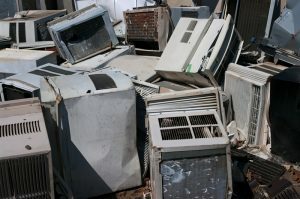 However, if you have an air conditioning system that’s in the 10 to 15-year range (or older) and/or you’ve noticed it isn’t working as well as it once did, we recommend asking the tech a few questions about the AC’s future. It may be time to have it replaced. The ducts that lead from the air handler to your home are vital to proper heating and air conditioning, but they can also contribute to poor indoor air quality. Contaminants like dust, pollen, pet dander, bacteria, and viruses can dwell in the ducts and may be forced into your home as you run your heating and air conditioning system. But professionals are equipped with the proper tools to eliminate these pollutants and help you to maintain the quality of your home. Access Tools: First, a technician must access the remote areas of the ducts by using some sort of tool to access the inside of the ducts from multiple locations. They may use these tools to pierce a small hole in the ducts to seal up later or to remove an entire section of ductwork to replace afterwards. First, however, they must access the type and design of the ductwork in order to determine the proper steps to follow. Inspection Materials: A quality technician will inspect your ducts before any cleaning takes place to make sure there are no areas with major leaks or portions of ductwork that require a particular set of tools for cleaning. They may use anything from small handheld mirrors to video cameras, depending on the size of the job, the level of experience of the technician, and the tools they have on hand. Vacuums: Perhaps the most important tool at a professional’s disposal is a high-pressure vacuum. This vacuum creates negative pressure in the ducts so that debris is knocked loose from the lining of the ductwork and gets sucked into the hose. These vacuums have far more power than home vacuum cleaners, and are rather difficult or homeowners to access themselves. Brushes: During, before, or after the duct cleaning, the technician will also use soft brushes or other cleaning tools to rub off any remaining dirt and contaminants. Contaminants may cling to the ducts even after the powerful vacuum is employed, but a simple brush and perhaps a non-toxic cleaning agent can take care of anything that remains. However, the technician will need to make sure that the brush is soft enough not to damage the ducts, particularly if your home uses a flexible ductwork that can easily collapse. The professionals at Touchstone Heating and Air Inc. can ensure that your next duct cleaning in Fort Worth is handled with care and that no harmful contaminants threaten to enter your home. Give our team a call today! Is It Too Late for Air Conditioning Maintenance in Jacksonville FL? Air conditioning maintenance is a sort of tune-up session, designed to spot potential problems before they get out of hand and perform a lot of little things that help improve efficiency in your system. Most experts recommend having a maintenance session performed at least once a year, ideally in the spring before summer starts. But summer is here and with our heat and humidity rising, a maintenance session may force you to shut down your air conditioning system at a point when it’s needed almost every day. Is it too late for air conditioning maintenance in Jacksonville FL? 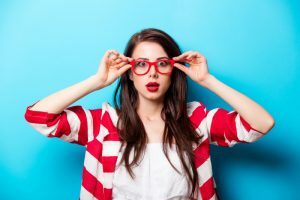 Should you schedule a session now or wait until the fall when you don’t need your system as often? 1) Lowering monthly bills. Maintenance sessions clean direct and dust off of the interior components, as well as recharging refrigerant and replacing used filters. All of that helps the air conditioner function more efficiently, and use less energy to cool your home. The longer you wait, the more you’ll feel the pinch on those monthly bills. A maintenance session will help cut into those bills, and scheduling in June means seeing the savings as early as July. With lots of summer left to go, the savings could help pay for the cost of the session itself. 2) Preventing bigger repairs. More importantly, a maintenance session can help you stop big repairs before they get started, ensuring that you can rest a little easier during the remainder of the summer. Give us a call today to make an appointment and lets us help you save money and energy this summer! 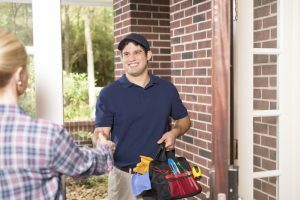 The experts at Touchstone Heating and Air Inc. know that it’s never too late for air conditioning maintenance in Jacksonville, and we have the skills you ned to ensure that the job is done right. Posted in Home Improvement | Comments Off on Is It Too Late for Air Conditioning Maintenance in Jacksonville FL? When Should You Call for Commercial Air Conditioning Repair? Commercial air conditioning in Gainesville operates according to the same principles that govern residential air conditioning systems. But there are definitely differences, and a good air conditioning repair service will keep them in mind when conducting air conditioning repairs. With an eye on the bottom line, a canny building superintendent may be tempted to conduct repairs with his own staff rather than calling for a professional. This can often be a mistake. Not only do general handymen lack the expertise required to properly diagnose a given problem, but trying to repair it could make the issue worse. When should you call for commercial air conditioning repair? The short answer is, anytime there’s trouble. More specifically, look for moments when your costs start to spike. This can stem from a lack of cooling power, a lack of fan power, or anything that results in a higher monthly bill than you’re expecting. Commercial air conditioning systems will often demonstrate a significant swing in monthly costs when problems arise, and even if they continue to cool the building, those higher monthly bills can eat at you. More importantly, they could be a precursor to more substantial breakdowns in the future. Dealing with them now rather than later will save you on repair costs, as well as ensuring that your building doesn’t suffer an unexpected loss of cooling power. Beyond that, look for any signs that the cooling power has dropped – such as the air feeling warmer when it comes out of the vents – or reduced air speed that may stem from a blockage in the ducts. Both typically signal fairly significant problems, and usually require the services of an expert to treat. Luckily, when it comes to commercial air conditioning, Gainesville has a company of qualified professionals with Touchstone Heating and Air Inc. Our trained staff understands the specifics of commercial systems and can perform repairs swiftly in order to keep your business cool and comfortable in the heat of summer. If you know when to call for commercial air conditioning repair, there’s only one number to dial. We’re dedicated to your complete satisfaction, call us today! Posted in Home Improvement | Comments Off on When Should You Call for Commercial Air Conditioning Repair?